This week we have mostly kept up with the Olympics via regular news sources although we did spent about 4 hours straight watching some snowboarding and some figure skating. Speaking of figure skating, if you missed 15-year old Julia Lipnitskaia's (Russia) gold winning performance (in the team competition) then you've got to watch the following video. It is her performance from the European Figure Skating Championships but it is the same routine she used in the Olympics. The reason I didn't pick up more in the series was because one of the titles I was looking through (I think the one on Scotland) featured a ghost in a castle and so I decided to leave it behind. Now I'm not sure that I wasn't being too picky. You can purchase all of the titles in this series used on Amazon though (for $0.01 a piece + $3.99 S&H!) 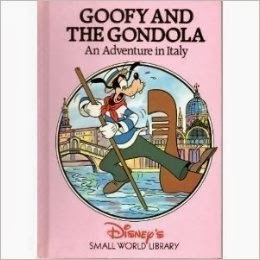 or purchase as a whole: Disney's Small World Library: 15 Volume Set . Now that I know my kids love them so much, I think I'll keep my eyes peeled to add more titles to our collection. Tomorrow we are having a bunch of friends over for an "Around the World in 80 Minutes" lunch wherein each guest is to bring a different ethnic dish of their choice to share with everyone. I'll post about that next week! Any else out there enjoying the Olympics or doing something special to celebrate the games? I'd be curious to hear of it! 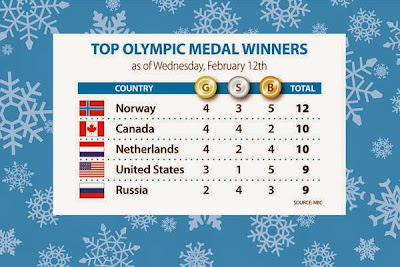 I've been thinking of you guys as I watched the Olympics, hoping someone out there had picked Norway. I'm not doing anything special for them, but I am watching every night after work. But week night plans have been canceled, so I've been able to enjoy every night. Won't happen next week, but I've enjoyed it while I could. That's my big plan for the weekend, too. Lest I forget the boys, it goes without saying that he is ready to conquer the world and try new adventures when watching such athletic feats! We've been turning the Olympics on every night. Nathan in particular loves it! Eric picked up a couple library books about Russia from the library, and I should get the globe out to find countries when they are mentioned. Nathan loves seeing where people are from and how old they are! He's like me in that way--interested in those details. Can't wait to hear more about your lunch--great idea! 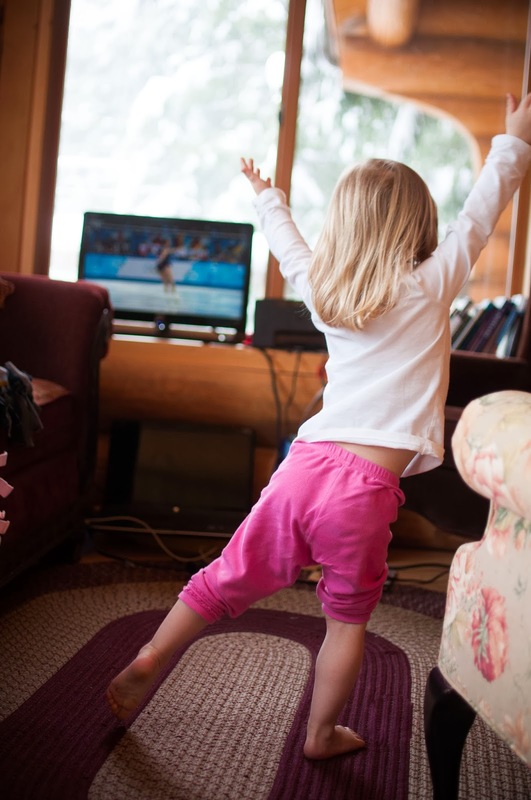 What a sweet little figure-skater-in-training you have there! That's my favorite part of the Olympics as well. Such highs and lows in the men's short program last night! I'm always disappointed when anyone falls and joyous when any of them do well. I've watched a few other events - we usually have the coverage on in the evenings (sad about Shaun White not getting a medal!). "I have to dance" I love it! I saw that Canada was in second and thought you might be pleased by that. My favorite part is your little ice skater. Simply too cute for words. But I also still love your idea of following the Olympics, and also grin at the way you're tying books in. Fun times! 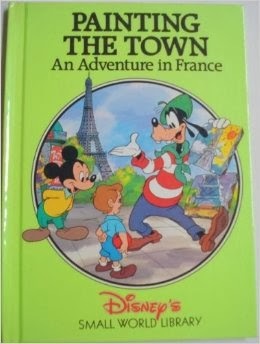 I'm so glad you shared your Disney Book find. 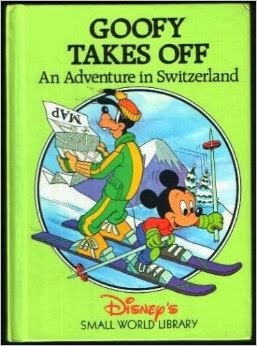 I was stoked to hear of a series that I didn't have that I bought the whole series on ebay; we've had good luck with the older Disney learning libraries :). I got them today and we've already read two and I'm really happy we bought them. We just went to our local friends of the library book sale last week and guess what I found!?!? We picked up 6 additional titles and everyone in the family was excited to find them. Thanks for telling me about that! So cool!